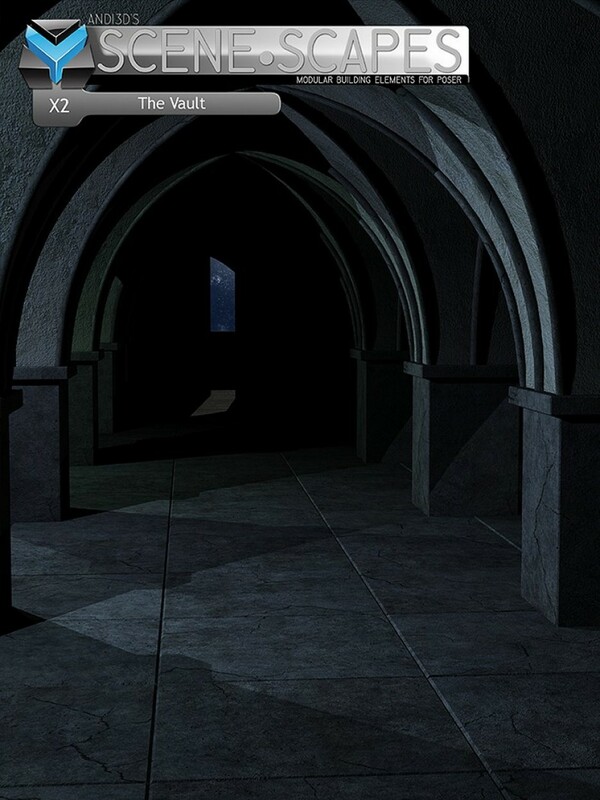 Dank and dark, full of shadowed corners and half hidden glimpses, the Vault brings you a new dimension to SceneScapes. Created in the same easy-to-use modular style as the rest of SceneScapes, this set provides an enclosed environment for your renders. Follow the basic instructions in the included tutorial and quickly and easily build a vault of any desired size. Set lights to place fantastic shadows and set a dramatic scene. Fits seamlessly with existing SceneScapes sets to provide a larger environment. This set includes a basic use tutorial, covering the use of all existing SceneScapes sets.